What is Making Every Contact Count? Making Every Contact Count (MECC) aims to provide advice and support for behaviour change so that people can have better health and live longer healthier lives. We know that staff across health, local authority and voluntary sectors, have thousands of contacts every day with individuals and are ideally placed to promote health and healthy lifestyles. 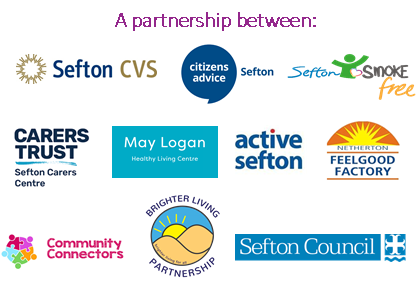 The aim of the training is to maximise the opportunities participants have to increase the number and quality of brief interventions in Sefton. What is the content of Level 1 training and who is it aimed at? The training takes place during a 2 hour session and is aimed at everyone working, living or volunteering in Sefton. The content provides an overview for non-health professionals and is particularly useful for front line staff that see lots of people during their work. What is the content of Level 2 training and who is it aimed at? •	The training is suitable for anyone living, working or volunteering in Sefton. How do I book training sessions for staff? All sessions can be booked on Eventbrite. All up coming dates are available on our profile page Dates will be available throughout the year and take place in the north and the south of the borough. We highly recommend that staff be released to attend our open sessions as they provide an excellent opportunity for networking with other providers working in Sefton. However, if this is operationally difficult, we can provide sessions to organisations at your location.